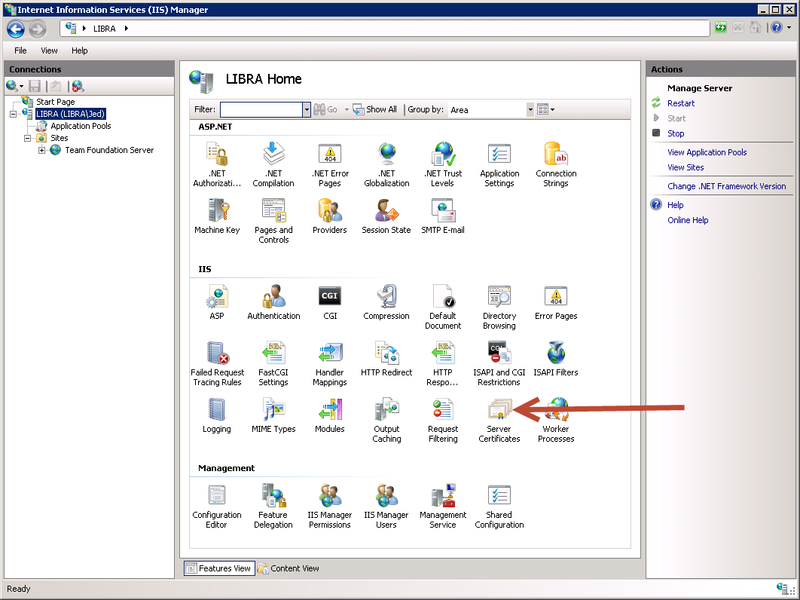 – The name, port number, or protocol for the Team Foundation Server is incorrect. – The password has expired or incorrect. 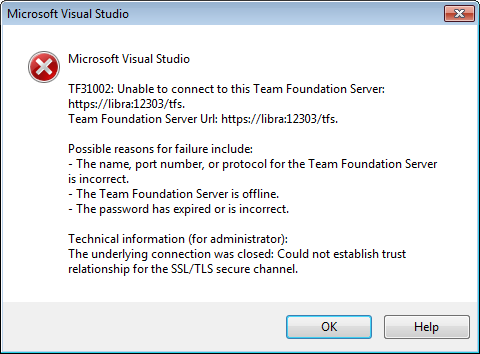 I received this error when I tried to Add my TFS Server to my Visual Studio 2010 Team Explorer. This key piece of information informs us that we need to create an SSL Certificate on the TFS server (in my case, the TFS server is on my machine named “Libra”). 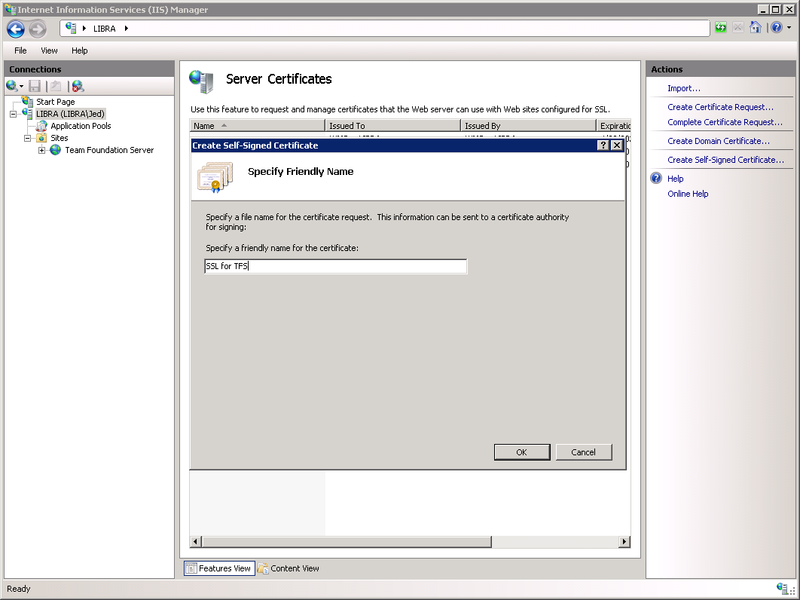 Here’s a procedure for creating an SSL cert on the server and installing it on the client. 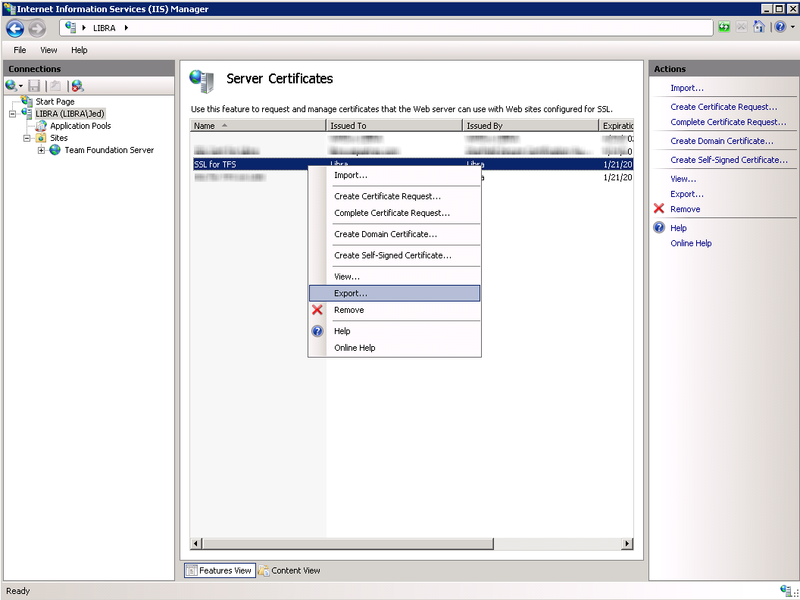 Log into the server and go to the IIS Manager, then double-click the Server Certificates icon. Located in the “Actions” side-bar, click the “Create Self-Signed Certificate…” link. Follow the on-screen instructions, then click “OK”. Right-click on the SSL certificate, then select “Export…”. Export the SSL Certificate to your Desktop and specify a password. After you export the SSL Certificate, move the certificate to the Desktop of the computer that is running Visual Studio. 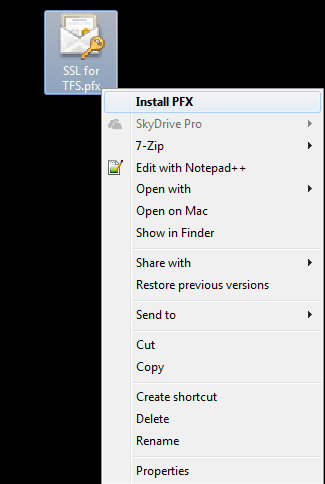 From the computer that is running Visual Studio, right-click the SSL Certifcate then select “Install PFX”. Follow the on-screen instructions using the default settings where applicable. 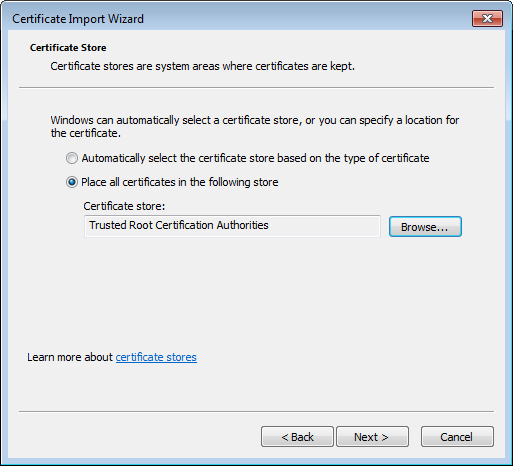 However, when you get to the step of the Certificate Import Wizard that allows you to specify which store to save the certificate in, choose the “Trusted Root Certification Authorities” store. Finish up the Certificate Import Wizard and you’re done. Now that you have created and installed an SSL Certificate, you can add the TFS Server to your list of TFS Servers in your Visual Studio Team Explorer.